The girlfriend brought me; along with her sisters and mother to their family favorite shop at Damansara Jaya. At first, I was a little bit skeptical seeing the shop's location and the exterior. 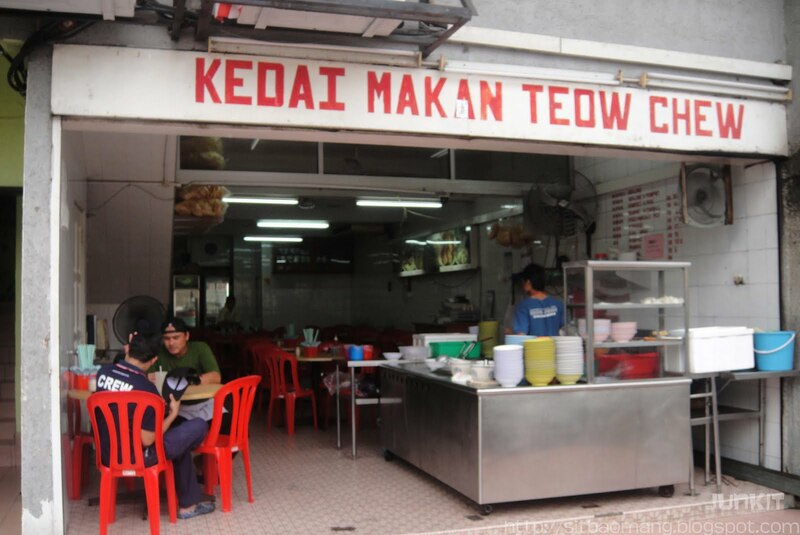 It was virtually empty; with an old styled kopitiam feel with the illusion of just one hawker stall. Not to mention, there was none customer, but most probably it was way past lunch time. Nevertheless, from the menu which was conveniently 'posted' on the wall, I realized the reason why it remained the family's favored restaurant. The wordings even came off due to time, but judging from the extensive choices of 'liu' or ingredients, no wonder this very special hidden shop has it's own fanbase. A Google search shows quite a lot of positive reviews from different bloggers, which is pretty impressive! 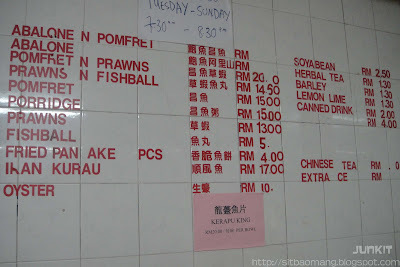 The different type of fishes to customize here ranges from pomfret and kurau. 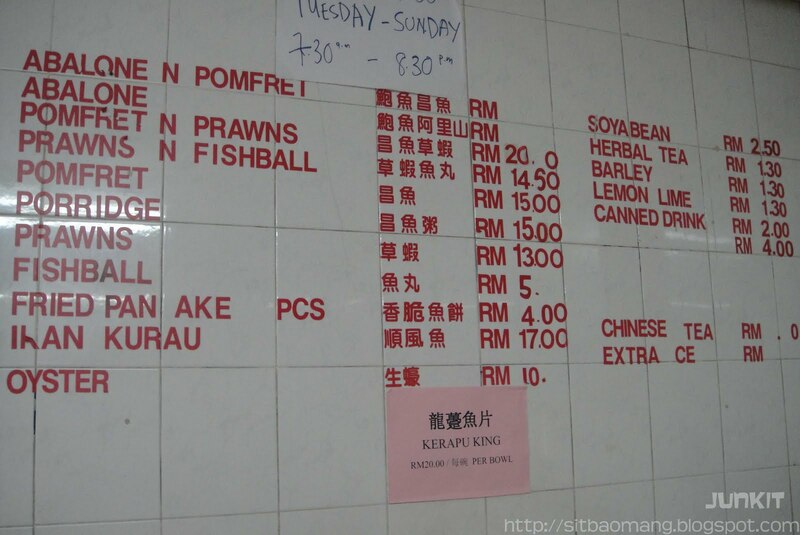 You can even go fancy and make it grand by adding more 'premium' ingredients like abalones, prawns or oyster! The girlfriend and the sisters had the Noodles in Soup with Oysters and Fishball (RM 12). Note that this shop only offers clear soup either in soup itself or the dry version. The soup was well boiled, pretty sweet in a lighter way. The fishball itself was really bouncy; and really suspecting it's self made with 'Sai Tou' / Wolf-herring meat. The oyster on the other hand, is really fresh and average in size. However, due to preferences matter, I preferred my oysters to be raw like sashimi; or semi raw in Oh Chiens for that texture. Nevertheless, I still give it credit for being fresh to my liking. I ordered the dry version with just fish ball, as I recalled myself not feeling that well on that particular day. 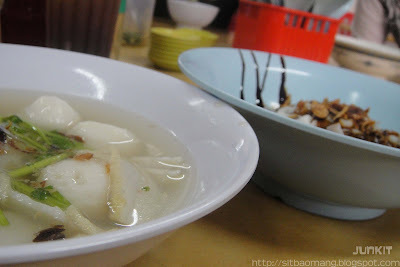 The dry version (RM 4.50) was good too, with the smoother hor fun variant noodle being used instead of the larger kuey teow. Fried shallots are also sprinkled! I felt this place is rather worth a visit for a change from our heavily Malaysian styled meal. 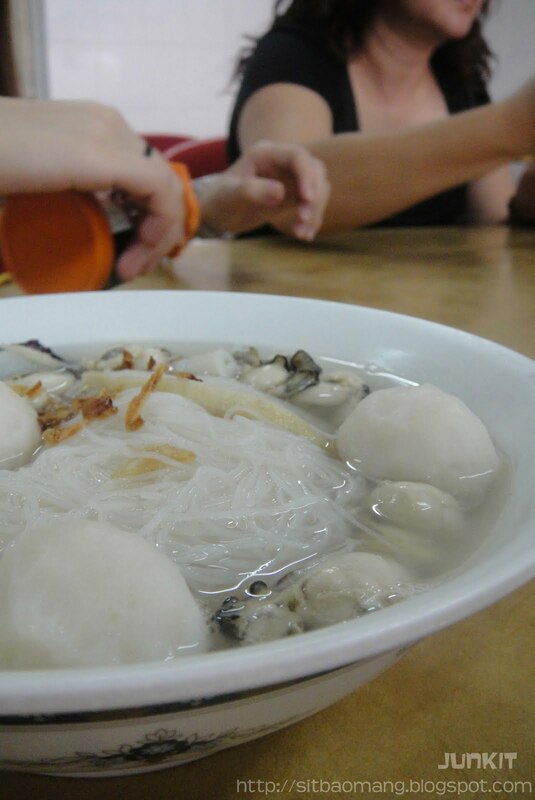 Teowchew or not Teowchew, the fishballs noodles are heartily light and healthy. Do not judge a book by it's cover; so they say, lol. 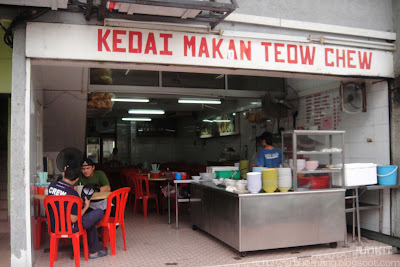 Do try out their fried fish cake which I heard is pretty good, too.